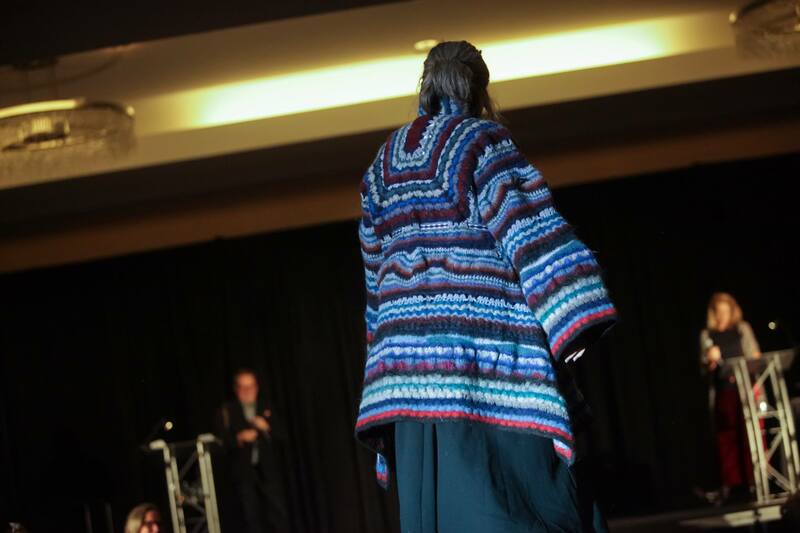 Last week I posted on the professional designs that were shown during the Vendor & Sponsor Fashion Show that took place on Friday night at Stitches Midwest. 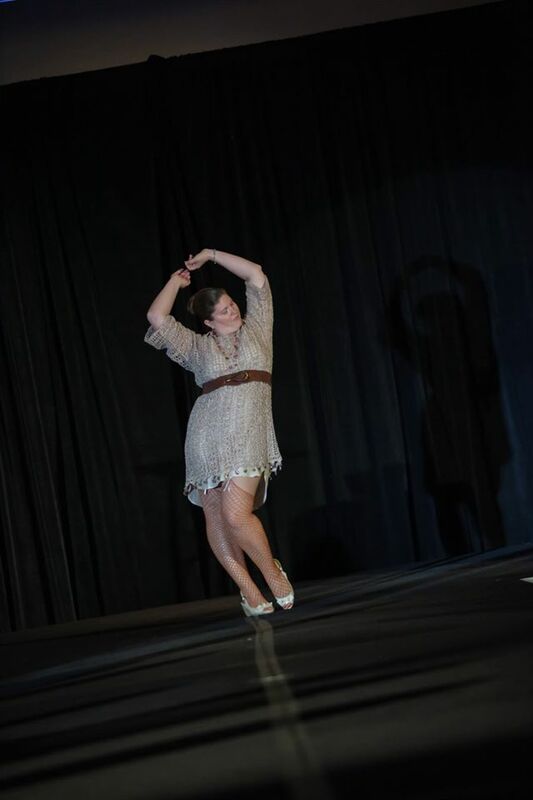 This post is going to be about the Student Banquet, which takes place on Saturday night. The Student Banquet is probably my favorite event at Stitches. It is the last big event for the weekend, a bunch of prizes are given out, and everyone has lots of fun. 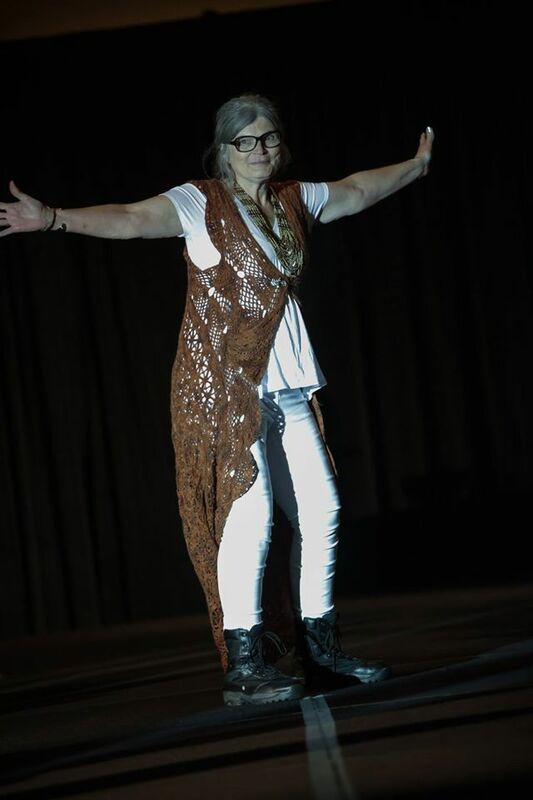 What makes the Student Banquet special is the fashion show, because it is all volunteer models showing off the amazing things they have created. 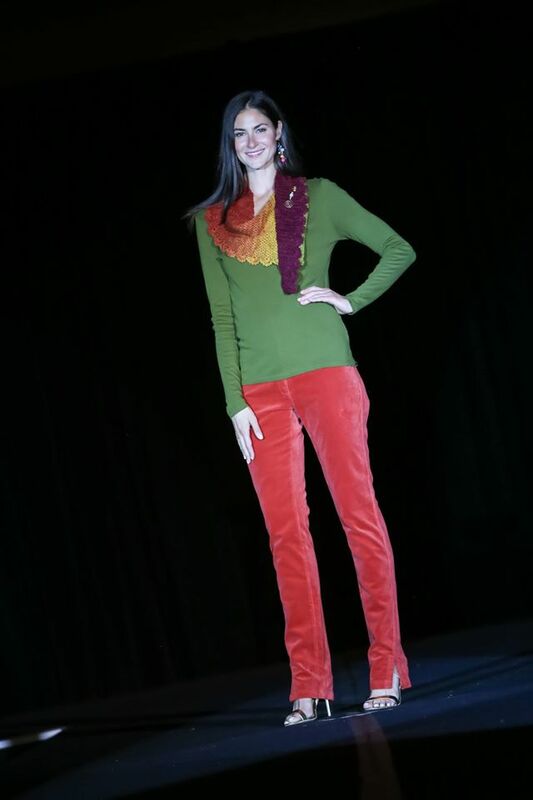 This year at the Student Banquet, a total of 49 items were modeled. Today, with the permission of XRX, Inc. to use their pictures, I will share the 10 crocheted items that were shown. 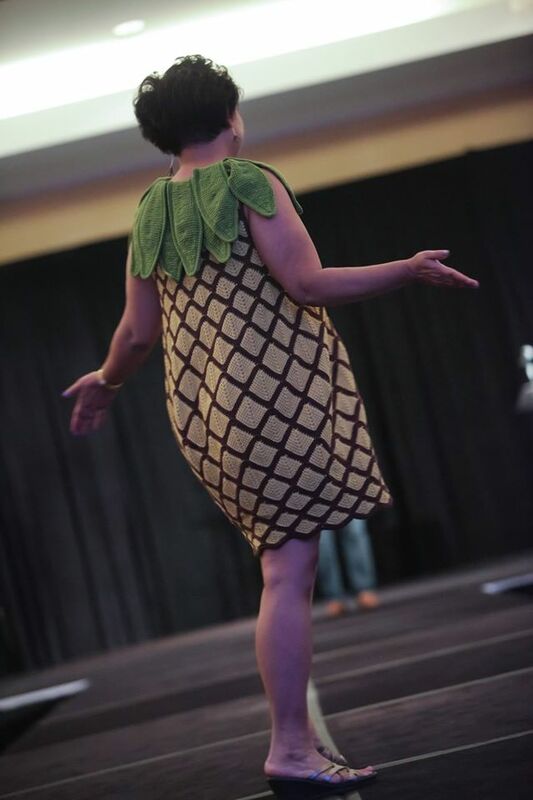 This is a bonus to start us all off 😉 Every year, the amazing Lily Chin wears a new item that she created. 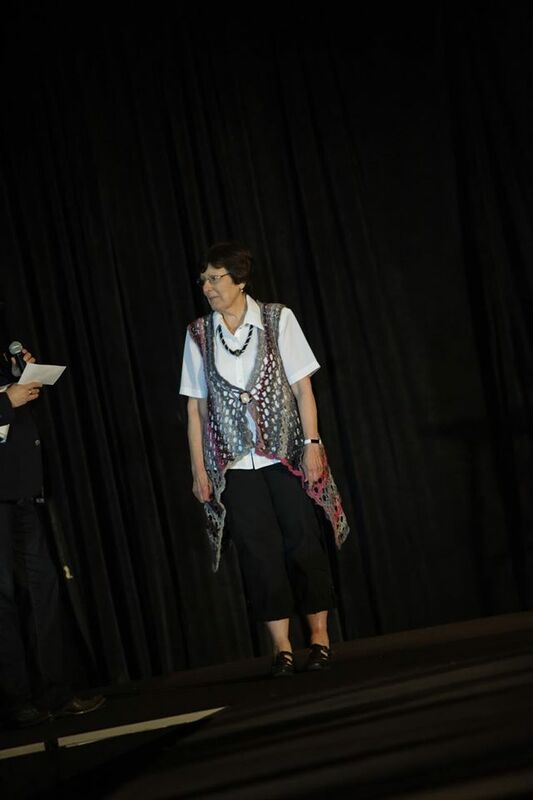 This year, since this event quickly followed the CGOA conference, Lily wore the same outfit to both events, but I am not complaining. 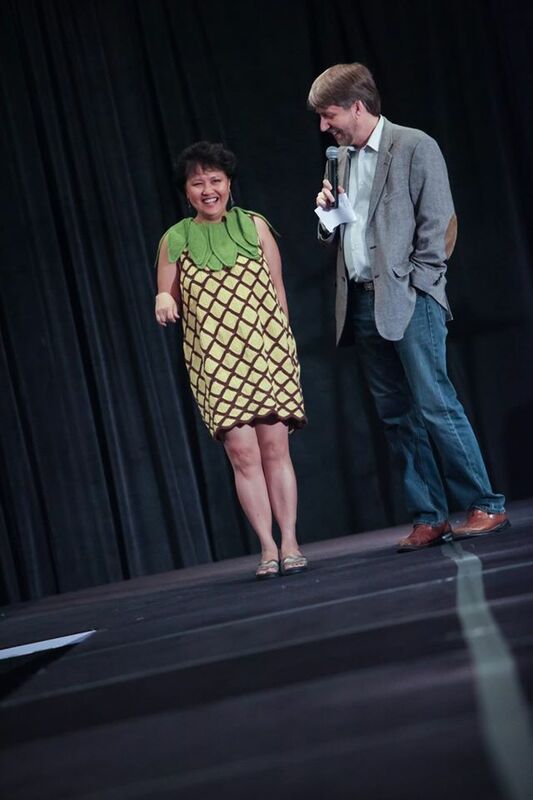 Lily created the pineapple dress using Tunisian crochet stitches, and crocheted the leaves that form the neckline. 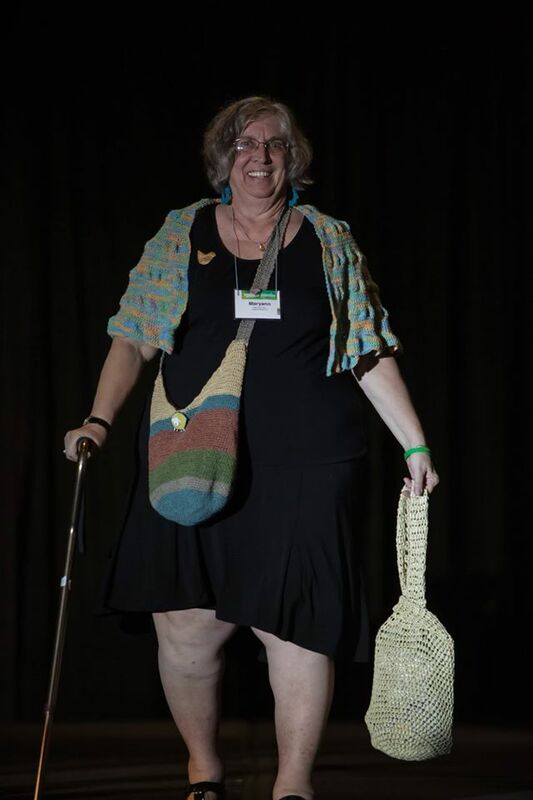 Just stunning work from the newest inductee into the Crochet Designer Hall of Fame. 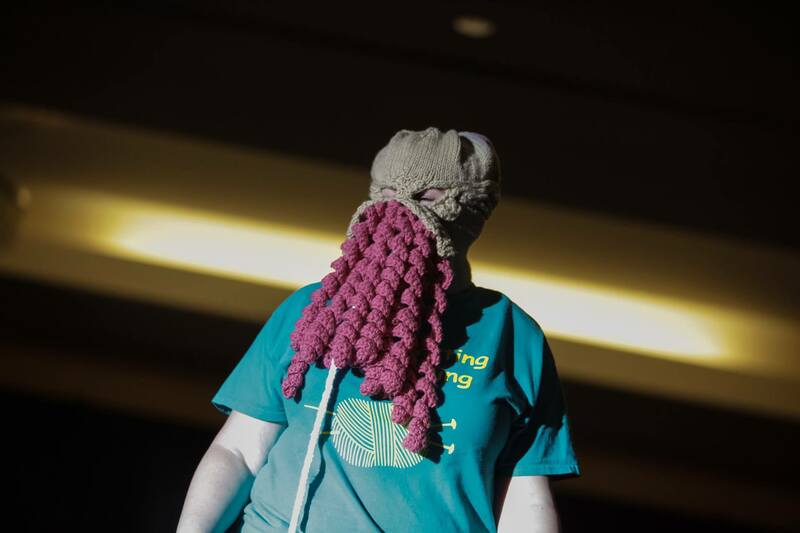 Now, presented without comment because their skills speak for themselves, here are the Crocheters at Stitches Midwest. I am in awe of these ladies, sharing the amazing work they do with crochet. It was fabulous to get to see these pieces in person, and I’m happy to share them here with you. 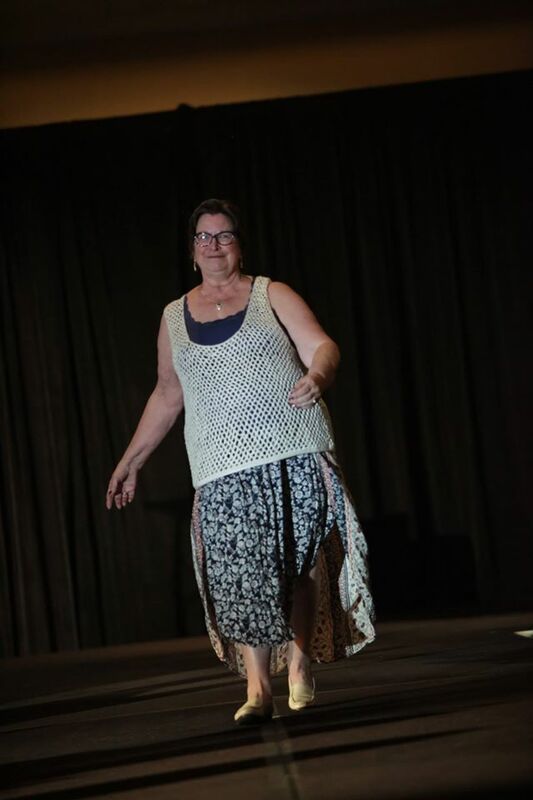 I’m home from an amazing weekend at Stitches Midwest, and I need to share the love. I plan to do this over a couple blog posts, so I hope you will check them all out. 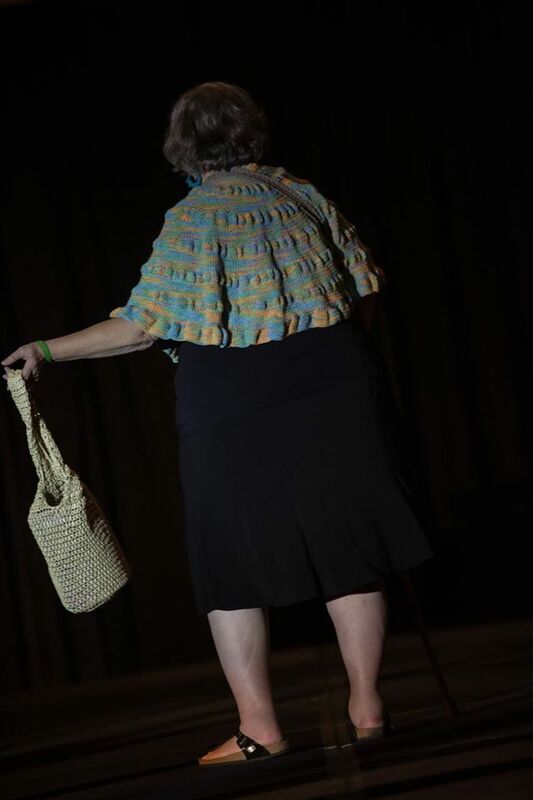 Today, I want to focus on the Friday night Fashion Show. 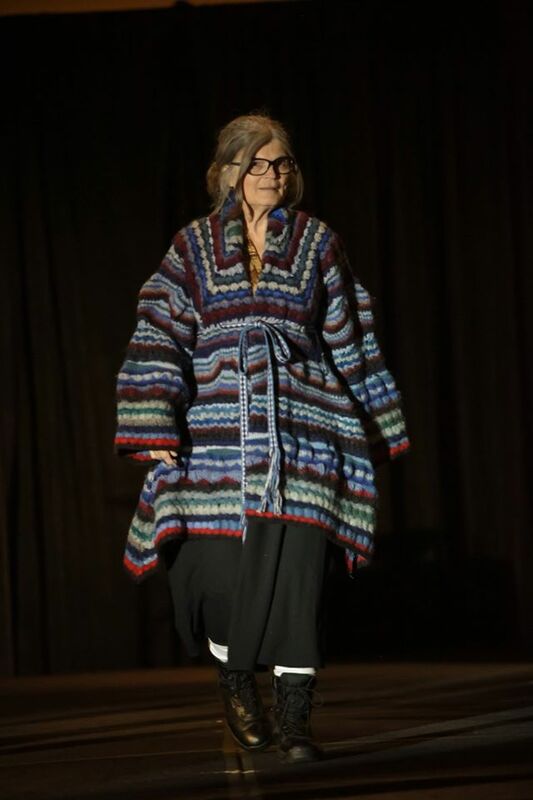 There were 70 amazing garments in the show, but the three I want to focus on are the crochet garments. Please note that all the pictures I am sharing are property of XRX, Inc., and they are shared with permission. The first is Whirlpool, designed by Michele Harlass in Makimo and Mousou by FIBERLADY. When the model turned around, the OOHHS filled the room. 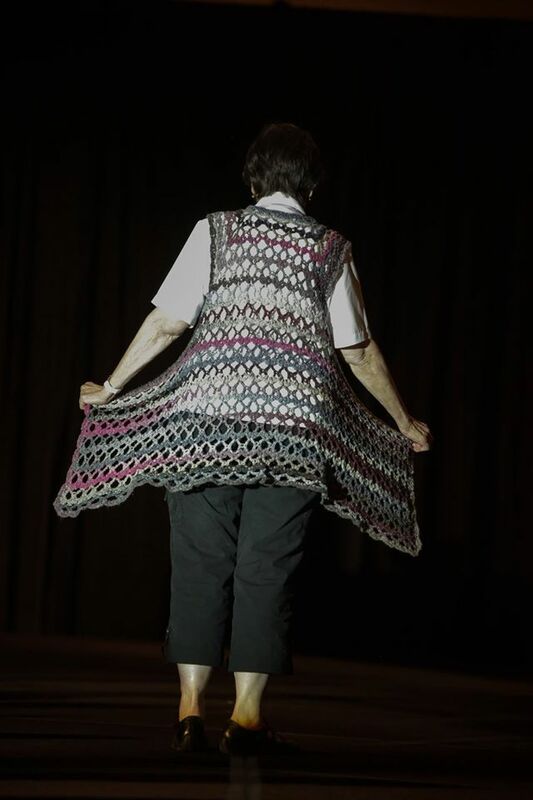 This was just a stunning example of what you can create with crochet. 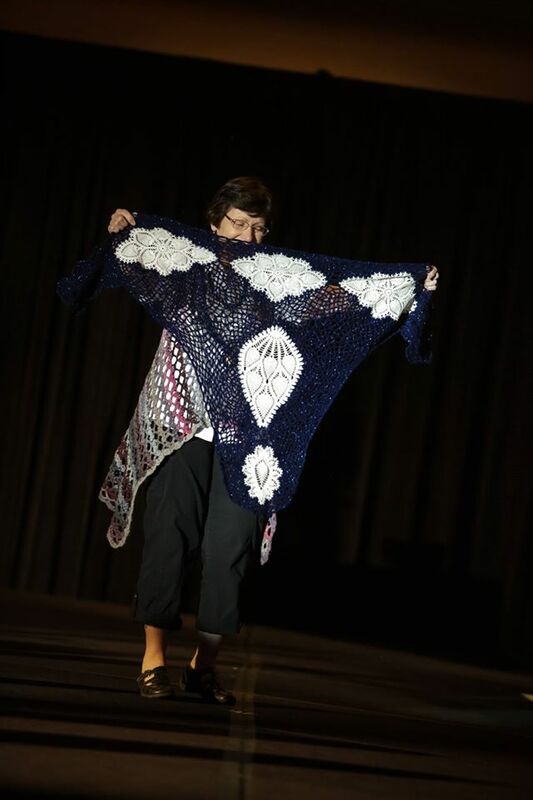 Next up is the Icarus Shawl, designed by Tracey McCorkle and Sharon Wagner, using Legacy Lace from Brown Sheep and CRYSALETTS. 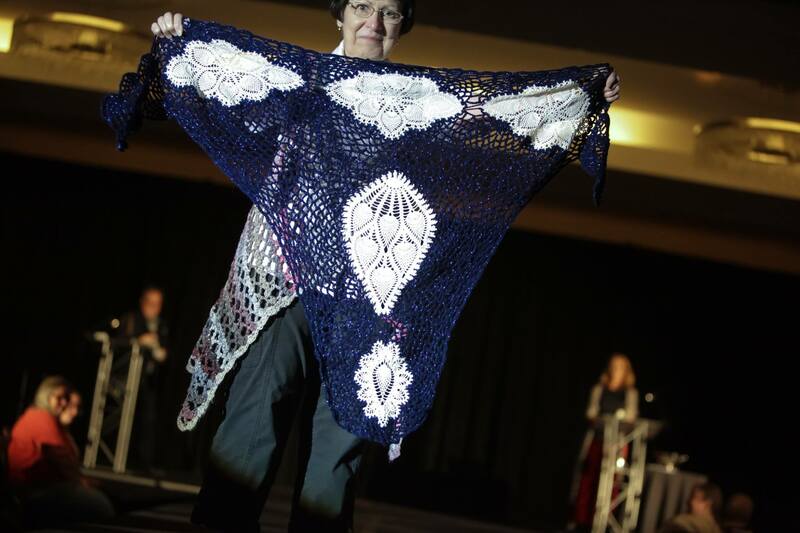 I love adding bling and beads to my crochet work, and it was used to great effect in this shawl. Crysaletts was also a new sponsor this year, and the ladies in the booth were a ton of fun to hang out with. After seeing this shawl, I had to go buy some bling for myself. I’ll share the goodies in another post. 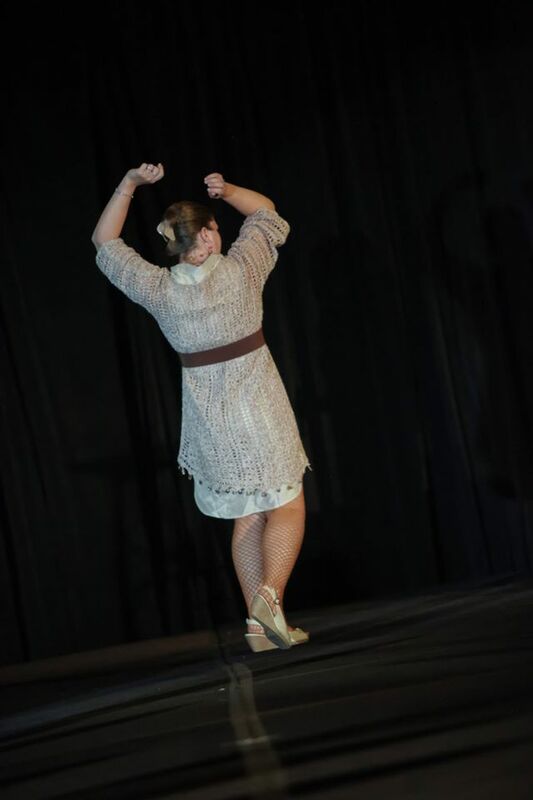 The final crochet piece was Twisted Minstrel, designed by Michelle Stead in Arial Evolution from Twisted Fiber Arts. The designer is also the wonderful person behind MICHELLE’S ASSORTMENT, where you can find amazing shawl pins. 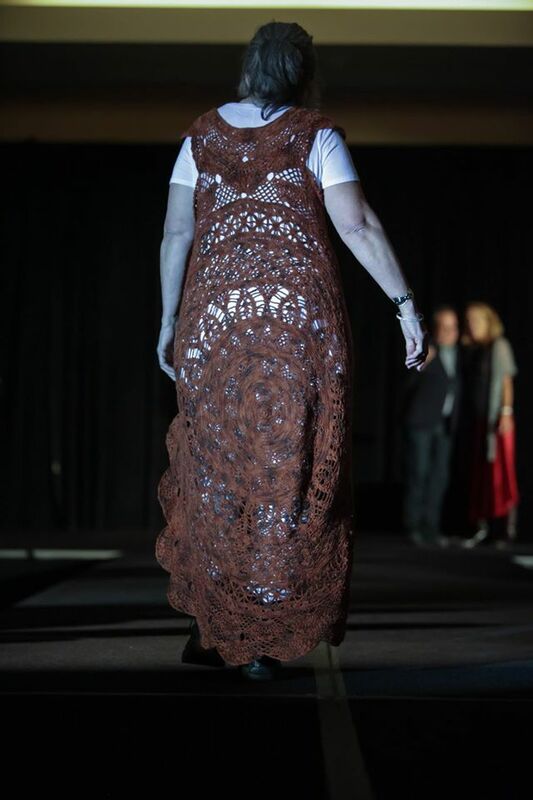 While these are the only true crochet pieces in the fashion show, I saw many knit pieces that could have a crochet counterpart, especially the garments created with mitered squares or chevron stitches. Just because something is in one technique doesn’t mean you couldn’t adapt it to another for your own use.